Jilin Jianzhu University was founded in 1956 which university takes the engineering as the main, take the civil architecture as the characteristic. It is a key university base on the sciences, engineering, liberal, management, law, art and others discipline support each other and coordinated development. 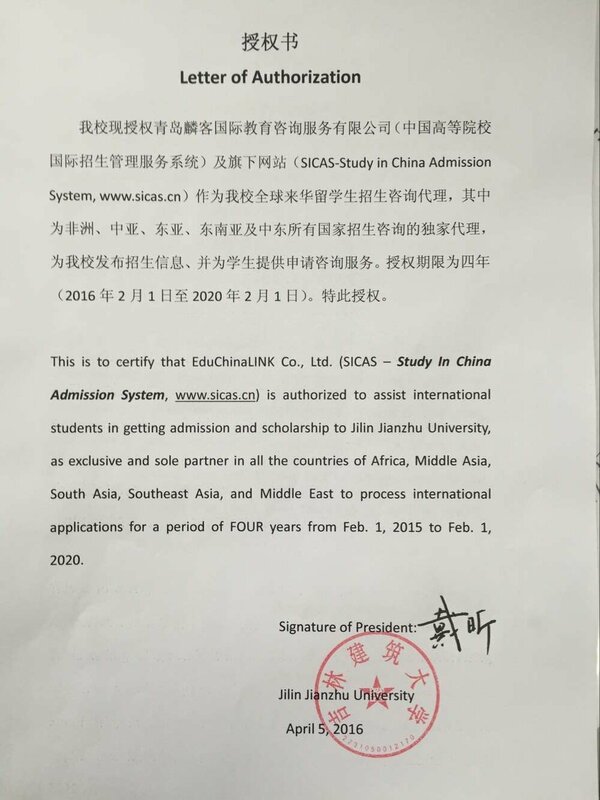 International students who Study in Jilin Jianzhu University will enjoy a high-quality study. Jilin Jianzhu University is located in Changchun city, Jinlin Province, China. Changchun is the central city in the northeast of china. In the history, it was the imperial capital of the last emperor, Pu Yi. Nowadays, it becomes a world-famous international city, likes auto city and film city; knows as “Perpetual Spring in the North.” It has a total area of 20604 square kilometers and a population of 4 million. Greening rate reached 80% in Changchun, has a laudatory name of “Asian Forest City”. Changchun is a city with four distinctive seasons, there are lots of green tree make shade, so the weather is fresh and cool in summer. However, lots of gorgeous trees are covered by white snow in winter. This city is very helpful for students to study Chinese, because it is the most standard mandarin city of Changchun. Changchun is a great city for foreign students studying, living and learning the culture with low living cost.